At Fix Auto we work hard to relieve your stress after an accident. 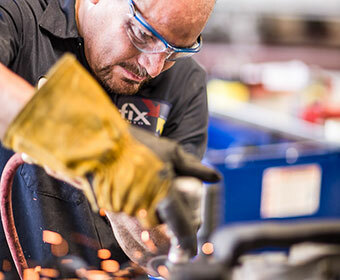 Our repair process is streamlined and our friendly staff keeps you informed of our progress as we return your vehicle to factory specifications. 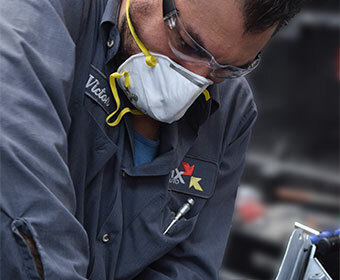 You can feel secure in that Fix Auto technicians have experience repairing all types of damage and are trained and certified by acknowledged, respected industry third parties. A fender is not just a fender. These body parts can be constructed of metal, aluminum, or composite materials, each with its own unique characteristics. Our expert technicians are skilled in dealing with each, ensuring you get a result that will match your factory finish. 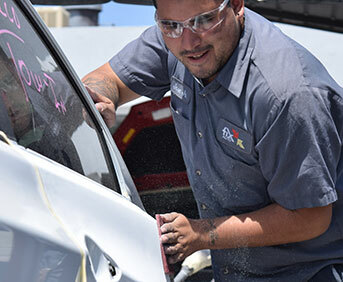 Dents and little imperfections deserve the same professional attention as more severe damage, which explains the craftsperson-like approach that Fix Auto technicians take toward smaller repairs. Whether your neighbor backed into your parked car or you were on the receiving end of a runaway cart, we’ll exercise the time and effort to make those surface defects go away. 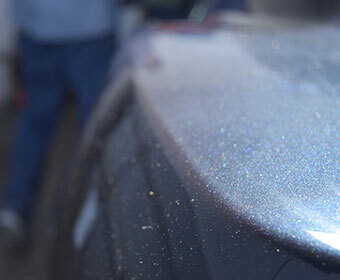 Paint scratches and rock chips aren’t just unsightly; they cause rust and underlying damage to your vehicle’s metal and paint that can worsen with time. 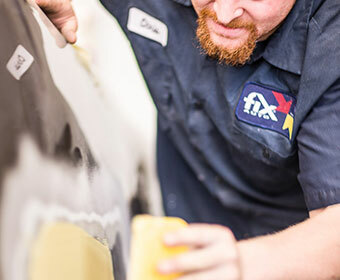 At Fix Auto, we assess the extent of damage beyond the surface and help you choose a refinishing option to keep your vehicle looking its best. A cracked or broken windshield is a serious safety issue and should not be left unattended. 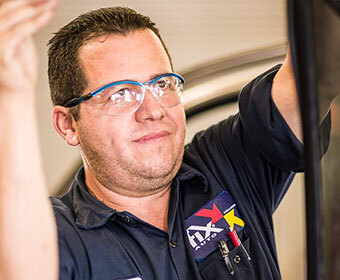 At Fix Auto, we work with insurance companies or you directly, to get your windshield, door window, and other glass needs met quickly and efficiently. Bumpers come in many shapes and sizes and the damage that can occur to them is just as varied: cracks, scrapes, paint chips, and damage to underlying structural parts. Our expert consultants assess these small, but important areas of needed repair, outline your options, and get the job done quickly, so you can get back on the road.